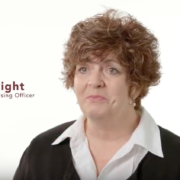 Ellen Wright, System Chief Nursing Officer ARH, describes what it means to be an ARH nurse. Photos submitted Amber Howard is currently participating in the Nurse Extern Program at Harlan ARH Hospital, working in med/surg. Participating in the Nurse Extern Program at Harlan ARH Hospital, Haley Cook is gaining experience in the emergency room. Haley Cook and Amber Howard are well on their way to becoming extraordinary nurses at Harlan ARH Hospital, but one of the more critical factors leading to their success was a little surprising — being selected to participate in Appalachian Regional Healthcare’s (ARH) Nurse Extern Program.“I started as a nurse extern in December and by the time I got back to college for the next semester in January, I was a changed person,” said Cook who is a senior at Lindsey Wilson College in Columbia. “I originally thought the medical professionals at the hospital might not take me seriously. I thought of myself as a kid, but it was so different. The nurses were so helpful and kind and the doctors took the time to explain complicated medical procedures to me. I can’t really explain it, but when I got back to Lindsey Wilson I was able to better grasp the information. 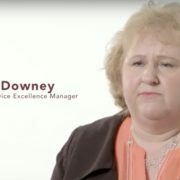 I felt more confident and everything became more focused and relevant.”Howard agrees the Nurse Extern Program was a cornerstone in her professional development. “It was such a big difference in mastering time management skills and experiencing real life medical challenges. I was more confident because everyone helped me grow and made it clear they had my back.” Howard is currently preparing to “take the biggest test of my life,” the NCLEX exam, which is the final step to becoming a Registered Nurse (RN). She graduated in May from Union College in Barbourville, with a Bachelor’s Degree in Nursing (BSN) and is already working at Harlan ARH Hospital as a nurse with a provisional license. 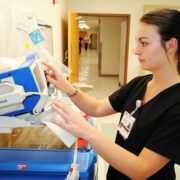 The Kentucky Board of Nursing grants provisional licenses once a nursing student successfully completes all requirements to sit for the exam. With that license, they must work under the direct supervision of a RN.“I always knew I wanted to be a nurse and I always knew I wanted to go to Union College so that part was easy, but when I learned about the Nurse Extern Program with ARH, all the parts of my professional development were complete,” Howard said. Through the ARH Nurse Extern Program, students are provided a job, plus the ability to apply for scholarships covering tuition, books, lab fees and daily living costs. “They make it possible for you to focus on becoming the best nurse you can be,” said Howard. Both Cook and Howard agree they are willing to drive the extra miles to work at Harlan ARH, which they both hope to do after graduation and passing the NCLEX exam. “I’d rather drive the extra 20 to 30 minutes to be somewhere I want to be,” said Cook while Howard nodded her head in agreement. 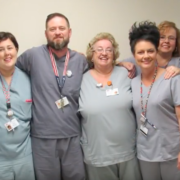 Eva “Dee” Hughes, Community Chief Nursing Officer, Harlan ARH, discusses how ARH employees, “put caring and compassion into practice” both at work and in the community, working as “One Family” dedicated to helping others. Alice Lucas, Director of Radiology, Whitesburg ARH, discusses how ARH has helped her and her loved ones take the “One Family” promise to a new level. A story of going above and beyond as an ARH nurse from our System Service Excellence Manager.